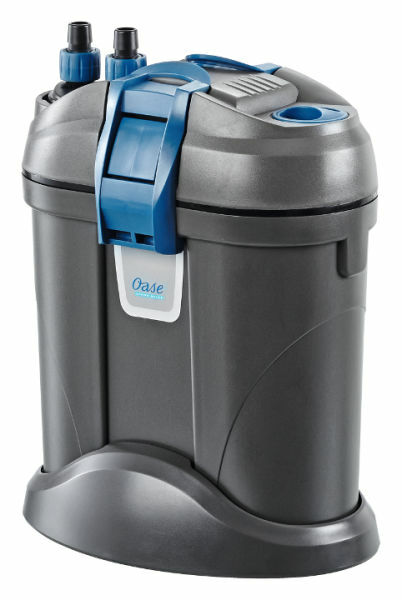 The OASE FiltoSmart 100 is a compact externally mounted aquarium filter for use in salt water or fresh water aquariums up to 100 litres (22 Gallons). 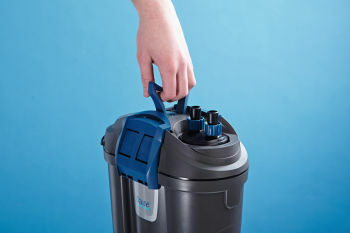 The FiltoSmart also features a built-in 600L/Hour water pump and convenient inflow and outflow hose adaptors which also allow the flow rate to be adjusted. The robust housing features strong clips for opening the lid and a folding carry handle. 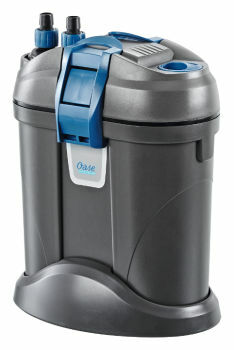 A removable base is also supplied offering a very stable footing for the filter when table or cabinet mounted. 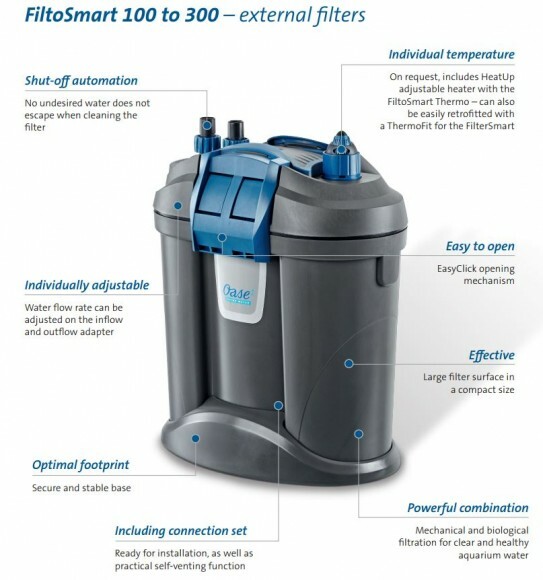 Inside the FiltoSmart 100 is a range of coarse and fine filter foams and ceramic media, offering a substantial surface area for mechanical and biological filtration. The FiltoSmart 100 can also be fitted with an optional OASE HeatUp 100w Aquarium Heater (the FiltoSmart ThermoFit 100 Adaptor is also required) for precise control of the water temperature in tropical aquariums. 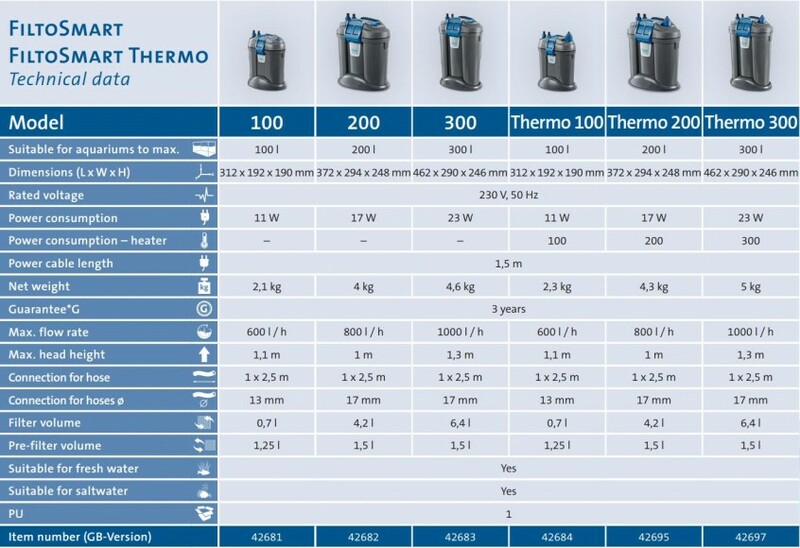 Alternatively, the brand new FiltoSmart Thermo 100 Filter can be purchased which is already supplied with the 100w heater pre-installed.